Jonginenge offers the most exciting holiday adventure in East London. We offer a safe beach experience for kids, while they learn new skills and make friends. We meet at the Nahoon Surf Lifesavers’ Club each morning at 8:00am and children can be collected from the same place at 2:00pm. The Lifesaver’s clubhouse is a quality venue which we will be using as a base providing shelter in poor weather and safe bathrooms. All water activities are facilitated by qualified lifeguards. i.e. Canoeing is best on a day that is not too windy, abseiling is best when the wall is dry, etc. We are flexible and do have a daily rate so you can send your kids when the weather is good if you like. Our team is made up of experienced, professional lifeguards, rock and abseil supervisors, a river guide, surf instructors, a qualified teacher, as well as knowledgeable tour guides. All necessary safety equipment is worn by all participants and skills are taught step by step. • We do have wetsuits, but if your child has their own, then they should bring it with. 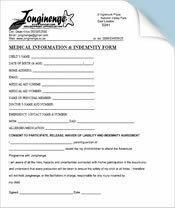 Due to the nature of our programme, and so that we are prepared for any possible situation, it is necessary for you to complete the medical and indemnity form. Click here to download indemnity forms. We look forward to an exciting holiday.